This week, Thursday June 1st to Saturday 3rd, both Agyesh of Stoffa and Marcus Malmborg for Eidos will be back in London. I’ve written previously about the wonderful colours and design sense of Stoffa, but not about Mr Malmborg (above). Marcus runs a showroom in Stockholm that offers clothing from Eidos, Christian Kimber shoes, and hosts Stoffa’s trunk shows. 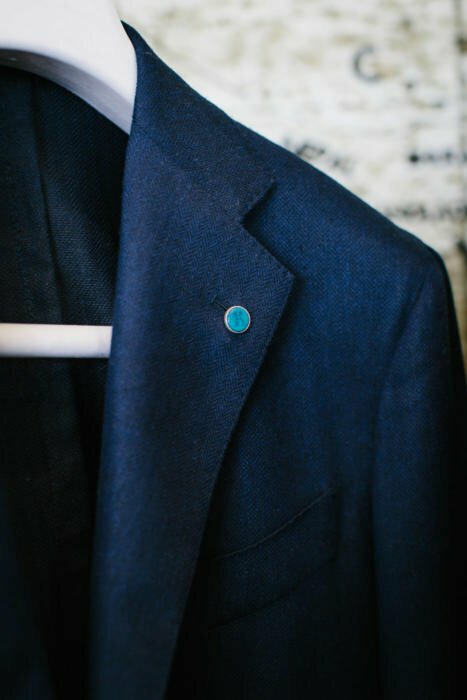 He has worked in menswear for a while, but his particular strength is as a personal consultant and stylist - so the showroom, which is private and gives a focus on customer service, suits him well. 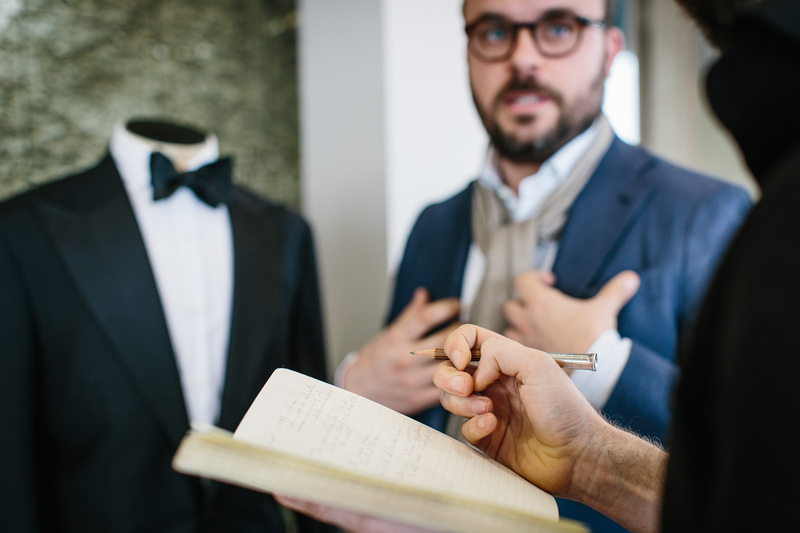 In London (this is his third visit), Marcus focuses on made-to-measure Eidos tailoring. He is currently the only one that can offer this worldwide, so there is a genuine difference from the Eidos pieces a London reader might have seen at Trunk, or a US reader at Barney’s, Gentry or No Man Walks Alone. Eidos, for those not familiar with the brand, is part of Neapolitan brand Isaia but the brainchild of Antonio Ciongoli - a wonderfully talented New Yorker and ex-Ralph Lauren designer whose family were from the Naples region. For the full background, check out Jeremy’s interview with Antonio on Blamo! Although Eidos’s collections have varied since it was launched in Autumn/Winter 2013, the theme has been clothing that attempts to bridge sportswear and tailoring - and all made in Italy. 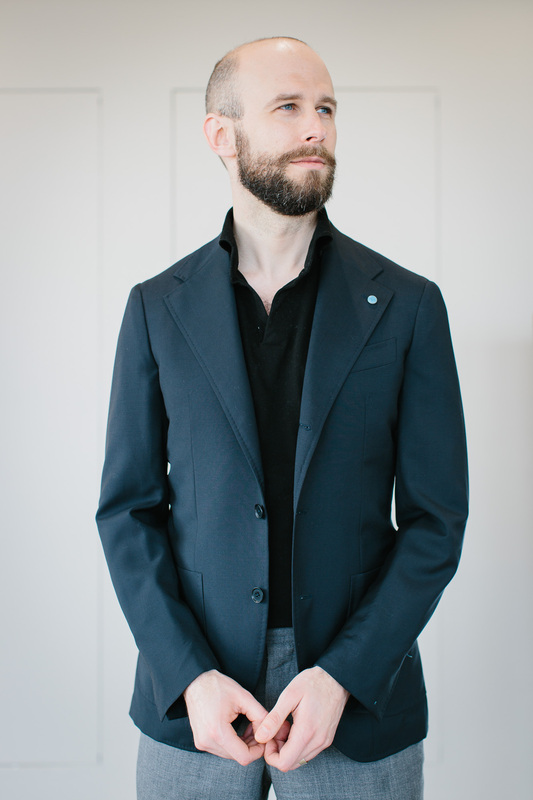 So the tailoring tends to use interesting, more casual fabrics and be relatively unstructured. 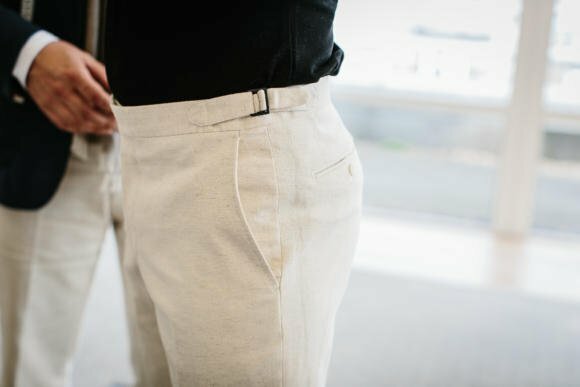 The trousers might be high-waisted and side-tabbed, but they will use a biscuit-coloured, slubby linen rather than a traditional, hard-pressed cream. As Marcus is doing made to measure, he can of course offer a range of materials. But they tend to be of this modern Eidos aesthetic; even the large presence of Isaia-designed cloths are the more subdued end of that sometimes hyper-coloured brand. 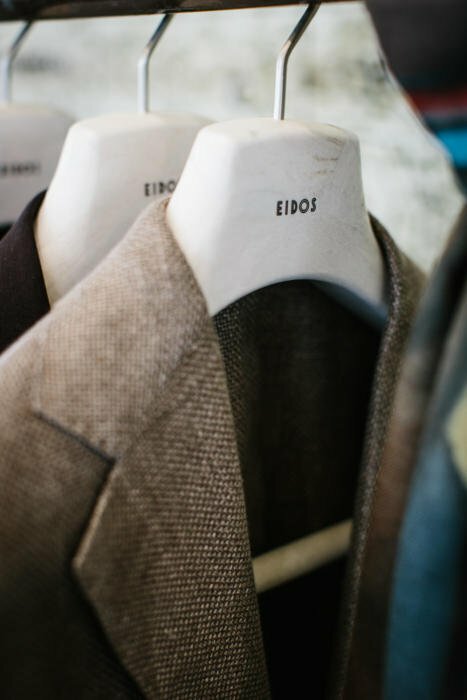 You can see that with the range of ready-to-wear Eidos suits that Marcus has on his site: brown tropical wool and slubby tan, plus three shades of mid-blue/grey. Conservative offices are not the target market. 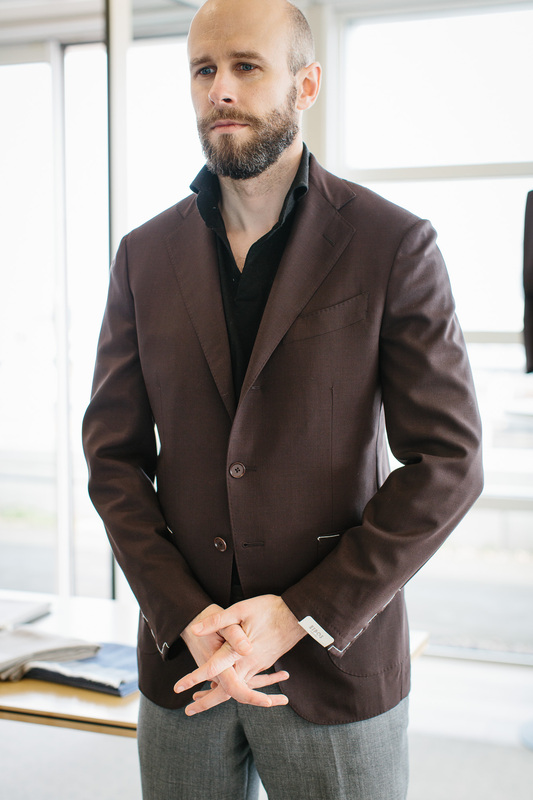 The customer can then mix-and-match between the style they want in the jacket and in the trouser. 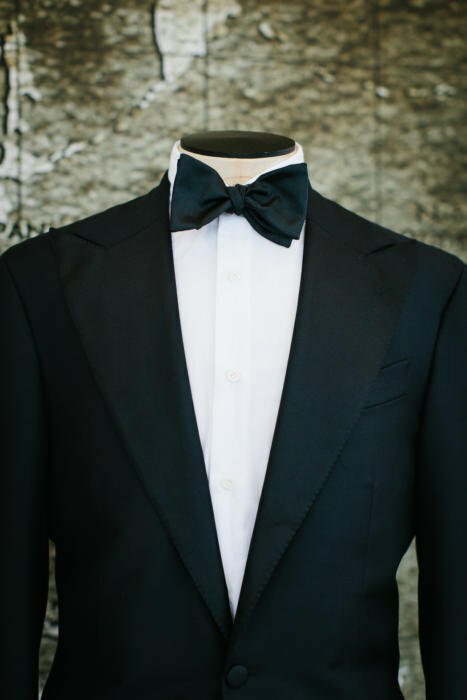 Tuxedos have been particularly popular with Marcus’s customers in Sweden, and when I saw him in London he had several on display. These are all made in barathea cloths, and tend to be in the Ciro style. I cannot comment on anything regarding the fit of the Eidos MTM yet, but the quality is good for the price - and the key selling point will be Antonio’s modern aesthetic, which there is precious little to compete with in London. Suits start at £1380, jackets at £1130 and trousers at £340. 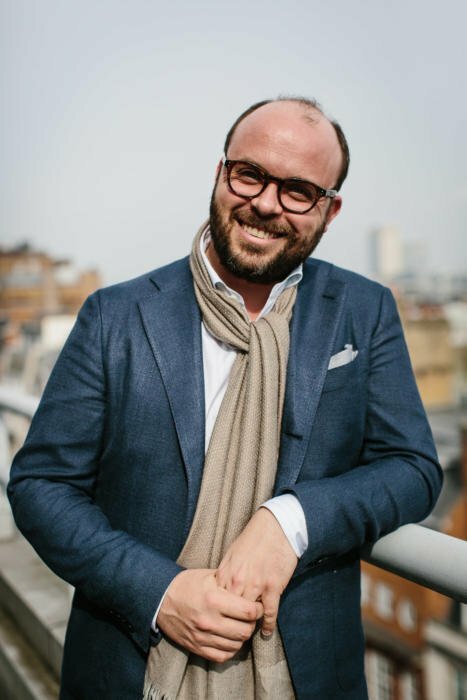 You can follow the discussion on Marcus Malmborg: Eidos made-to-measure in London by entering your email address in the box below. You will then receive an email every time a new comment is added. These will also contain a link to a page where you can stop the alerts, and remove all of your related data from the site. I like Eidos aesthetics, but I imagine that buttonholes are machine-made and lapels are in the best of the cases machine-padded, right? Are those jackets a bit too short for u? Yes – they are merely try on jackets to get an idea of style and chest size. As I’m above average height, they will all be too short for me. Ten years ago, cuffs you could unbotton was the ultimate addition to a suit jacket since it gave you that “Bespoke feeling”. Today, side tabs seems to be as important, for the same reason. However, although we see them above, they are still pretty uncommon for RTW. Why, just make sure you can adjust the 1″ a side (are the side tabs an “untapped resource”)? Maybe I’m being dim but I can’t see where / what times? Simon: I will let you decide if this is an okay thing to use your comments section for. Buyer beware of how Marcus handles his retail business. After reading this article, I went to his site and immediately fell in love with a bunch of the things he stocks. 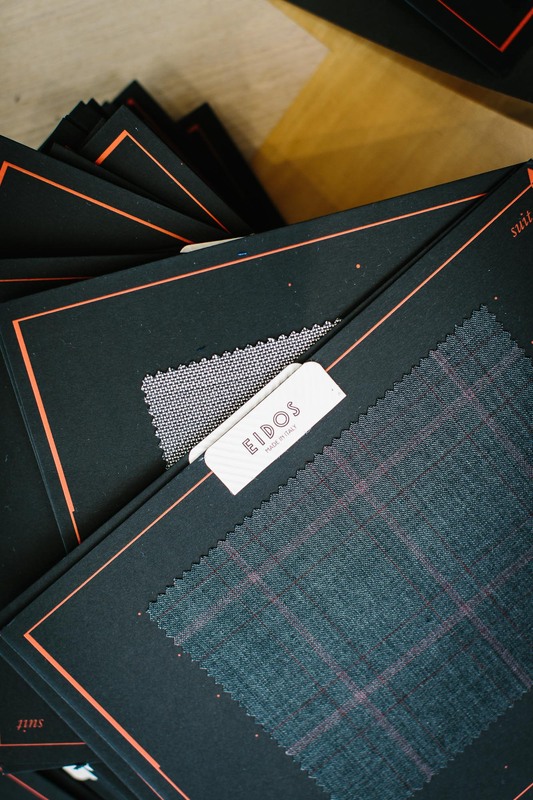 Great selection of Eidos tailoring in fabrics a typical retailer wouldn’t stock. I found a suit I liked, read the measurements, and attempted to order it. When he saw the transaction failed – my credit card process rejected it due to suspected fraud – he immediately reached out via email and offered to invoice over PayPal. Kudos to him for being so responsive here. Unfortunately, when the suit arrived, it was a size too small. Marcus again was incredibly responsive here and offered an exchange and sent the new item immediately. Unfortunately, he left out some paperwork and it has been sitting in US Customs since he sent it over two months ago and he swears there is nothing he can do about it. In the meantime, I have sent him back the original suit, and he has offered a refund that never materialized. He has since stopped responding to email. So, I defer to Simon’s experience when it comes to Marcus’ capabilities as a tailor. As a retailer, I strongly advise against buying from him online given this experience. First of all I’m very sorry you feel this way. Regarding not responding I’ve responded through our conversation via PayPal that you’re totally right in this matter and that you’re entitled a full refund. We have not once opposed against anything else. Regarding customs I tried several times to get it through, as you know it wasn’t any problem the first time. I really appologize for this. It all started very well as you write yourself but ended up with you feeling this way due to several misshaps and for that I’m very sorry. That would be great. You are welcome to send a refund at any time. Unfortunately I have to add that my own experience with Mr Marcus Malmborg is not a good one. At best I could describe his customer service skills as very poor, and at worst he is possibly dishonest. I would advise against purchasing anything from him online. Do you ever travel to the US – NYC specifically – to do MTM Eidos trunk shows? Did you receive the finished trousers from Marcus? What was your impression of them? Are you planning on doing a review of the trousers? I am thinking of purchasing a pair of Sal trousers so it would be great to know what your thoughts are. Probably not, no – the review would have been largely about Marcus and his service in London, but I know he’s changing that somewhat.